Our Blackberry app developers are extremely experienced and have absolutely thorough idea of BlackBerry enterprise servers, Blackberry JDE, Blackberry Widget SKD, Blackberry Runtime APIs, and similar technologies that are essential for creating a successful Blackberry application. Your BlackBerry app platform, though extremely popular, is often a little distinctive from other smart phone platforms in this its key appeal and has been among business people. We've witnessed BlackBerry adapt and build a more consumer-focused approach recently and have worked on key apps intended for BlackBerry that are entertainment-only, consumer-centric techniques, as well as about BlackBerry applications for the business group. Whether you might be thinking of your old-school Blackberry app, or perhaps a next-gen client app intended for BlackBerry, we've done all of it. 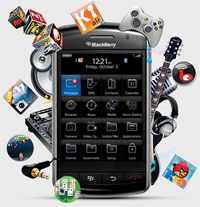 The highly skilled designers in PcPatchers Technology make certain that our Blackberry apps hold the best interface - sleek and expert, that suits the taste of businessmen, or way-out and wildly original, should your app will be targeting the opposite end of the consumer variety. 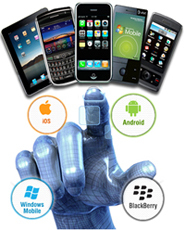 And in either case, you can get top-notch technical work, since our own BlackBerry app developers invest the very best of technology to bring the mobile apps to life.